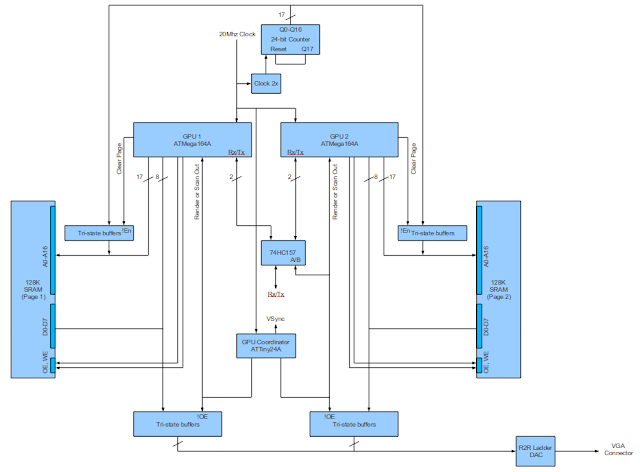 This removes the switching logic and now each GPU has a dedicated SRAM bank. Each GPU will be either in Render Mode or Scan-out Mode. They will never be in the same mode. A third AVR controls the two GPUs and tell them what mode to be in. 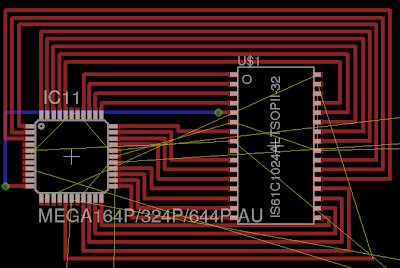 This coordinator chip also controls which GPU is "writing" to the R2R DAC. 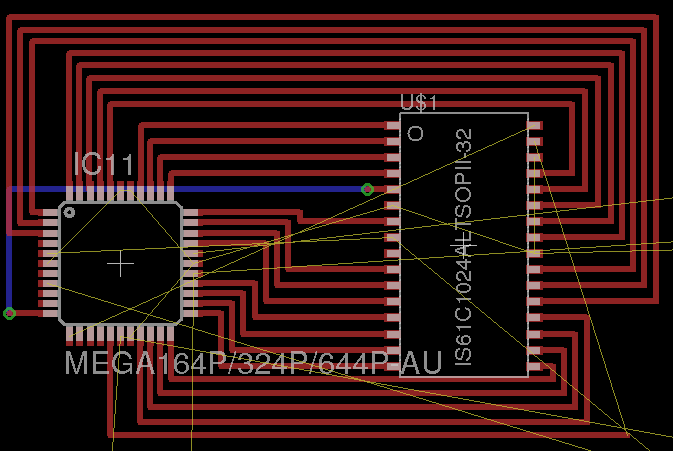 I have also included a clock multiplier and 24-bit counter which will be able to quickly clear the framebuffer. This will free up the GPU for useful drawing instead of spending 80%-90% of the time clearing the screen. A clever GPU firmware might be able to sync on this and use the counter for drawing pixel spans of solid colours - yum.